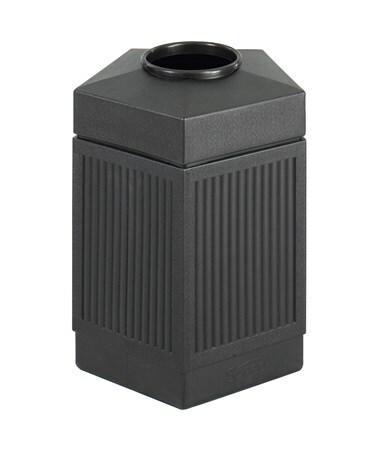 The Safco Canmeleon Indoor/Outdoor Pentagon Waste Receptacle is a heavy-duty trash bin designed for use in all seasons. It features UV inhibitors to keep it protected from direct heat of the sun when used outdoor. It uses standard-sized trash bags and has a capacity of 30 or 45 gallons. 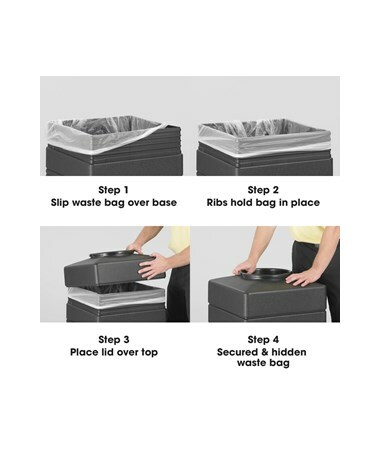 The telescoping base hides the trash bag for a clean look. Also featured is the easy adaptability for anchoring or weighting devices to keep the unit in place. 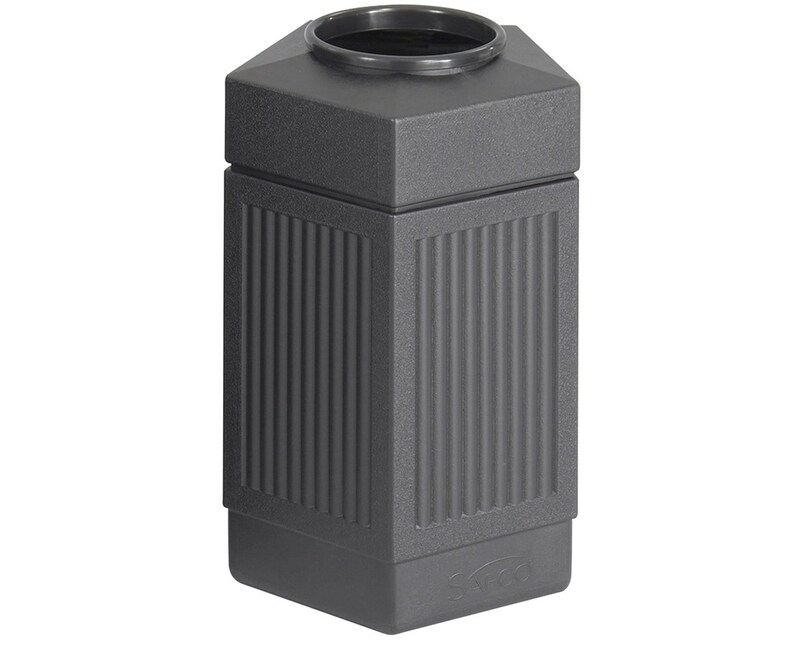 This waste receptacle is made of high-density polyethylene with a pentagon shape, a recessed bottom, and a rounded 9.5-inch top opening. It is certified by GREENGUARD for low chemical emissions and indoor use safety. 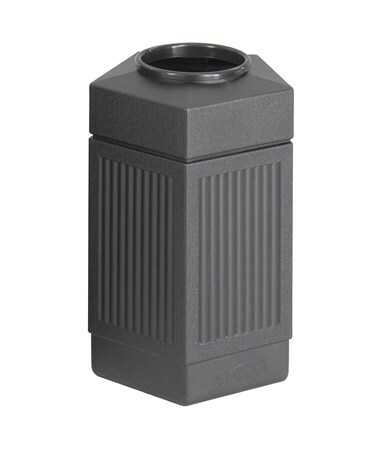 The Safco Canmeleon Indoor/Outdoor Pentagon Waste Receptacle is available in two capacities. Please select your preference from the choices above.